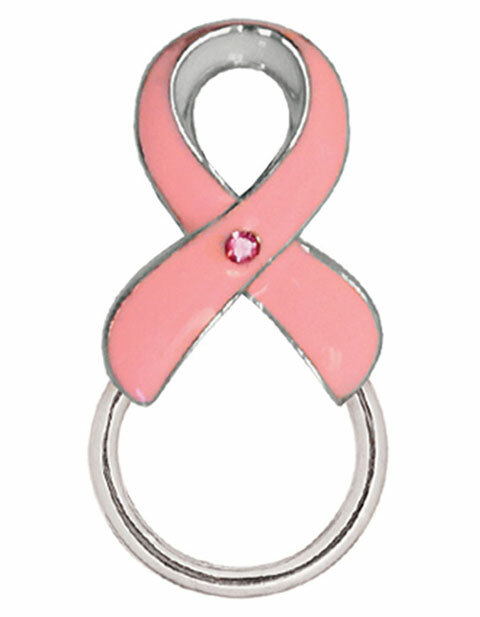 Take part in promoting awareness of Breast Cancer with this Prestige Pink Ribbon emblem design tac pin with plastic clutch backing. It also holds employee badges. Available one per package. A portion of the sale of this item is donated to the American Cancer Society.